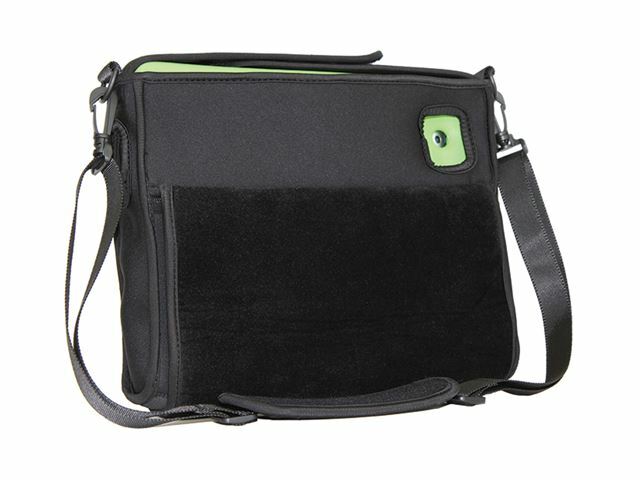 Travel more and worry less with the incredibly versatile carry bag for the Big Grips Tweener Frame for iPad Mini. Please note: Big Grips Hipster is not specifically designed for those with special needs therefore they are not VAT exempt - you must add VAT to the price below. 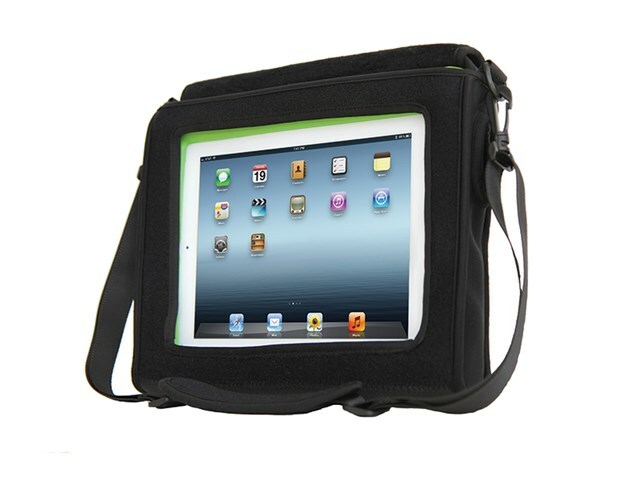 Carry your iPad Mini in a Big Grips Frame in the Hipster. Easy access to the iPad Mini. Use of front and rear facing cameras. Plenty of pockets for accessories, a shoulder strap and a rubber base for grip. Double flap Velcro handle for easily attaching the Big Grips Hipster to things like car headrests. Big Grips Hipster requires a Big Grips iPad Frame for iPad Mini. Please note: although we cannot guarantee the safety of your iPad Mini, we do provide a one year warranty on Big Grips Hipster.